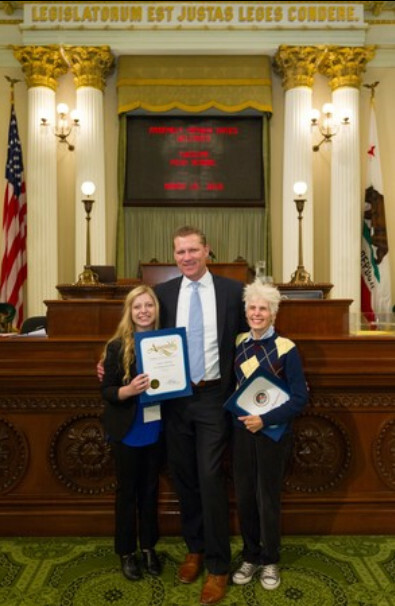 YHS Madrigal Singer Laura Johnson recently represented Yucaipa at the California Youth In Theatre Day in Sacramento. In the picture, Johnson is pictured with Assemblyman Chad Maze, and Linda de Baun long time Theater Teacher at YHS. Laura was selected to perform after winning a local talent competition sponsored by the Yucaipa Community Foundation. Recently Laura also participated in the International Youth Honor Choir and the National Youth Honor Choir with two trips to Carnegie Hall in New York this year. 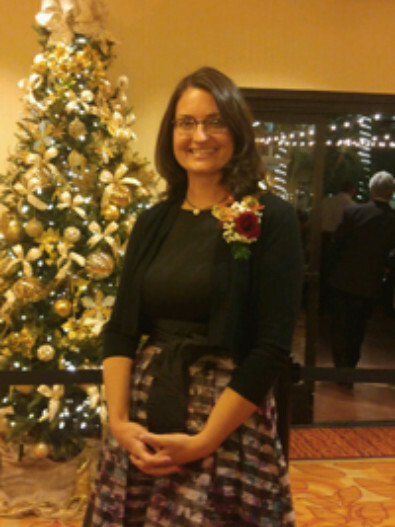 Congratulations to Park View's Jessica Lingenfelter for her nomination for Middle School Teacher of the Year by the League of Middle Schools. Jessica teaches English and ASB. She was honored on December 14th at a dinner and was quoted as saying, "I love teaching middle school students, they are very thoughtful. They are amazing. 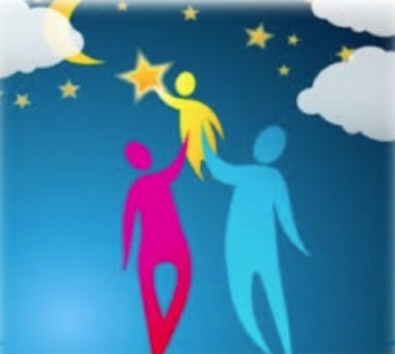 I teach leaders, comedians, mathematicians, scientists and much more." YCJUSD is proud of Jessica and the Park View team! 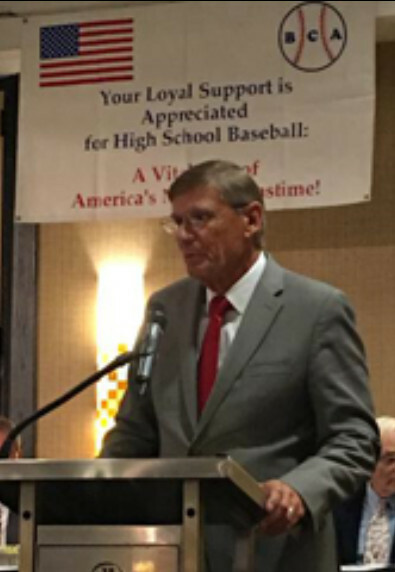 Coach Stout Inducted Into National High School Baseball Coaches' Association Hall of Fame! Congratulations to Coach Jeff Stout for his induction into the National High School Baseball Coaches' Association Hall of Fame. Coach Stout is entering his 40th season of coaching baseball at Yucaipa High School. His overall record of 770-327 includes 18 League Championships, 33 playoff appearances, and three Southern California State Championships. He has sent 150 players to play college baseball and has seen 23 players drafted in to the professional ranks. Coach Stout was honored at a dinner in Missouri on December 4. YCJUSD celebrates the great coaching and most importantly, his impact on the lives of students!